Samsung’s Galaxy S7 and S7 Edge have impressed us before, so half the Active’s job is already done, since it shares most of the core specs from the originals. 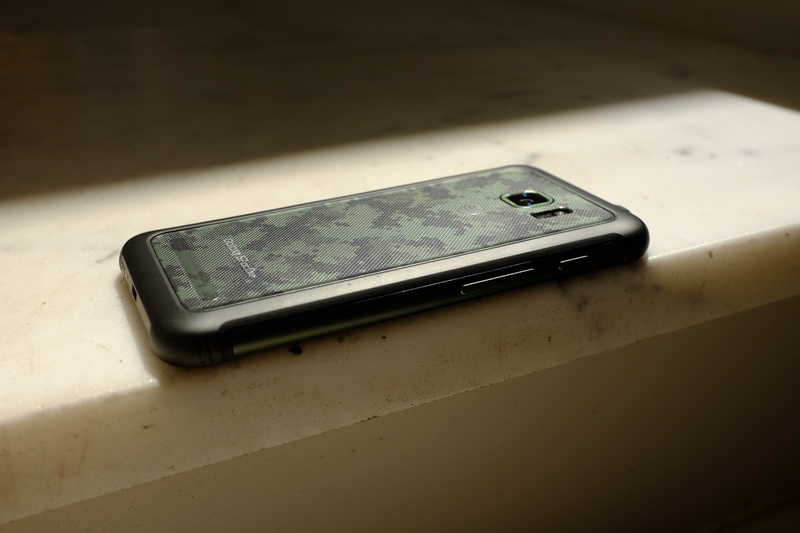 By far the most rugged in the line, the S7 Active is designed to not only pass IP68 water resistance, but has a shatterproof display, the biggest battery in a Samsung phone to-date, and a rugged body to cope with the thrashings you’ll be giving it. Rain shower? No worries. Dropped and recovered from a pool? It was built for it. The S7 Active is a glutton for roughness and punishment. Not that you should continuously damage the integrity of your electronics, but the rugged build and shatter-resistant display makes that a hard idea not to entertain. If you work in a hands-on industry (or are otherwise clumsy) this is right up your alley — after all, Samsung hasn’t made it abundantly clear who the Active is for, but the body speaks for itself, mostly. If dropped on concrete, the S7 Active holds well and IP68 water-resistance makes this doubly so. Rain shower? No worries. Dropped and recovered from a pool? It was built for it. Ultimately, this is one of the few cases where throwing as much external armor as possible isn’t such a bad idea. To make this all the sweeter, the rugged version of the S7 family actually retains all of the positive traits. It’s speedy, has an excellent camera, a fingerprint sensor for mobile payment and security, and finally, excellent color production on a large, crispy display. Battery life increases by a full 1,000mAh from the regular old S7, to a new total of 4,000mAh. The difference this makes is evident (the whole day, woo! ), while also being worth the additional heft in the phone’s build. That being said, the aesthetic of the S7 Active is sub-par compared to the titanium silver sheen of the S7 Edge. But what is impressive here is that without the frills, this still performs like a flagship phone. Not all of us need this sort of protection, but it’s available and effective. 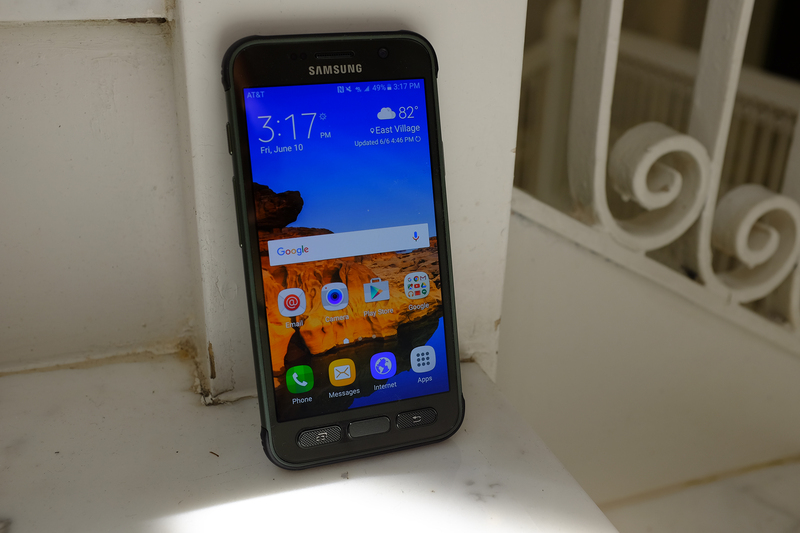 Ultimately, the Galaxy S7 Active is right for someone who needs a rugged phone, without sacrificing any of the luxuries of the all-glass and aluminum counterparts. While I do wish it wasn’t an AT&T exclusive, the S7 Active cements itself as a beast — with a huge battery. It may lack the finesse of what we’ve come to expect from Samsung, but given that you don’t have to worry about the Active’s body whatsoever, it’s a good trade-off.